This complete self-help method is the ideal tool to bring you from where you are today to the highest levels of personal success. You’re worth a hundred times more than you think. This method is here to learn you how to use your own thinking device with success in all aspects of your life. It contains more than advices and recommendations. It is a hands-on workbook that you can use throughout the day and which will bring you quickly to the highest levels of art de vivre and success. Far from being a theoretical text on self-help, this method brings you a practical process with the essential steps you need for your personal growth among which adaptation, self-trust, enthusiasm, relaxing and happiness. At each lesson and each week of this method, a survey and exercises help you put to practice what you have learned and progress in a practical way. – What if you could always feel well in your environment, not overcome by doubts or the impostor syndrome? – What if you could develop an irresistible self-trust that empowers you to achieve great project and bring people along with you? – What if I told you you can materialize your projects and dreams, and not spend your time procrastinating or failing your goals? – Do you want to be full of energy, an energy that will increase your lifespan? – Do you really think there is such a thing as luck? Or are you one of the few wise people who realize that luck is another word for power of will? That should give you some food for thought. There is an imprisoned angel in all of us, a great human being whom we are ignoring. We must work to free this imprisoned angel, and exploit the untold riches we possess, for the benefit of those around us. 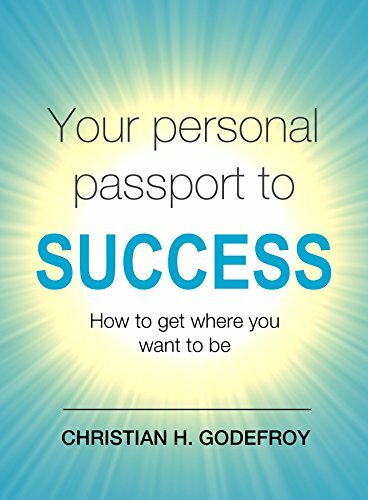 This is the Kindle version of Your Personal Passport to Success: How to Get Where You Want to Be that you can also download and read on your computer and mobile phone. Kindle books are DRM protected and therefore, unlike ebooks that are in PDF or ePUB format, you cannot read this ebook without the official Kindle apps.